As eclipse 2017 quickly approaches, Americans—from astronomers to photographers to space enthusiasts—are preparing to witness the celestial wonder that is totality. Phenomenon found within planetary science has long driven us to observe and study space. Through a shared desire to dismantle and reconstruct the theories behind our solar system, ancient Greek philosophers and scientists built the foundation of planetary astronomy. The following shortened excerpt from The Oxford Illustrated History of Science discusses the evolution of planetary astronomy in ancient Greece. The Republic of Plato ends with a cosmic vision. A hero named Er is killed in battle. His body lies on the field for ten days but does not decay. When Er comes back to life, he tells his companions what he saw while he was out of this world. Here Plato draws on the familiar sight of a woman spinning yarn, for Er saw the spindle of Necessity (Anangke, personified as a woman). The spindle and the yarn represent the axis of the universe, while the spindle whorl (the spinning bob to which the newly formed yarn is attached) represents the cosmos itself. But the whorl that Er saw is not like ordinary spindle whorls. Rather it consists of eight whorls nestled one inside another. Plato says they are like nested boxes one can find (but we might think of Russian dolls). The outermost whorl is the sphere of the fixed stars. Nested inside are the whorls for the five planets and the Sun and Moon. Thus each celestial body is carried around on its own spherical shell. The outer whorl turns westward (representing the daily rotation of the cosmos), but the inner ones rotate within in it, to the east, each in its own characteristic time (representing the motions of the planets around the zodiac). Riding on each whorl is a Siren who sings a single clear note. This is Plato’s nod to the Pythagorean doctrine of celestial harmony. And ranged round the whole affair are the three daughters of Neccessity, the Fates who were mentioned by Hesiod in the Theogony. Clotho, with her right hand, helps to turn the outermost whorl. Atropos, with her left hand, helps to turn the inner spheres. And Lacheisis, alternately with either hand, touches one then the other. This seems to be a reference to the three movements of a planet—the westward daily motion, the eastward motion around the zodiac, and the oscillation responsible for the occasional retrograde motion. “Representation of Ptolemy” by Blanche Marantin and Guillaume Chaudiere, Paris, circa 1584. Public Domain via Wikimedia Commons. This is the first appearance in literature of the ‘cosmic onion’—the view of the universe as a set of concentric spherical shells. Plato here stands midway between science and myth. On the one hand, he geometrizes the cosmos, postulating a simple model to explain the complex motions of the planets, but on the other hand he has draped his image in traditional mythology. Nevertheless, geometers took this model seriously. Eudoxus of Cnidus wrote a book On Speeds in which he considered a planet that rides on the innermost of a set of four nested spheres. That is, each of the planetary shells in Plato’s account now consists of four nested spheres. The outermost sphere for each planet is responsible for the daily rotation. The next sphere in is responsible for the eastward motion around the zodiac. And the innermost two spheres together produce a figure-of-eight, back-and- forth motion that accounts for retrograde motion. So, in Eudoxus, the Fates have been removed and replaced by rotating spheres. Plato and Eudoxus overlapped in Athens, so we have no way to know whether the geometer was inspired by the philosopher, or the philosopher poeticized the models of the geometer. Eudoxus’ work has not survived, but we have a short account of it in Aristotle’s Metaphysics and it was still known to Simplicius in the sixth century CE. The nested spheres of Eudoxus were soon abandoned in planetary theory (though they dominated cosmological thought until the Renaissance). Ancient critics pointed out that in this system, although a planet is slung about on multiple spheres, since each sphere is concentric with the Earth, the planet’s distance from the Earth never changes. This made it hard to understand how some planets vary in brightness in the course of their cycles. Mars, for example, is much brighter in the middle of its retrograde motion. Around 200 BCE, Apollonius of Perga discussed the theory of epicycles and deferent circles. The new idea is that each planet travels around a circle called the epicycle, while the centre of the epicycle moves around the Earth on another circle, called the deferent. Both of these motions take place at uniform speed, in keeping with the nature of celestial things. Retrograde motion occurs when the planet is close to the Earth, on the inner part of the epicycle. For then the westward motion on the epicycle is more than enough to overcome the eastward motion on the deferent. At first, the model was intended only to be broadly explanatory, and to provide a field of play for the geometer. Apollonius’ theory explains how a planet could move around the zodiac and occasionally retrograde while really executing a combination of uniform circular motions. It also nicely explains why Mars is brightest in the middle of retrograde motion. The theory (being planar) was also mathematically far simpler than Eudoxus’ spherical system. Ptolemy’s work came at the very end of the creative period of Greek science. And in the case of deferent-and-epicycle theory, he built on three hundred years of work. But Ptolemy also introduced a new idea. For Ptolemy allows the centre of the planet’s epicycle to travel at a non-uniform speed around the deferent. The non-uniformity is, however expressed in the language of uniformity. Ptolemy imagines a third centre, distinct from the Earth and from the centre of the deferent. This third centre, which is the centre of uniform motion, came in the Middle Ages to be called the equant point. If we could stand at the equant point of Mars, we would see the centre of Mars’s epicycle travelling around us at a uniform angular speed—about half a degree per day. The complete theory—epicycle and deferent, with the deferent off-centre from the Earth and a separate equant point—is very successful. For the first time, it became possible to calculate the positions of planets accurately from a geometrical theory. Featured image credit: “Takeshi DSC 0590” by Takeshi Kuboki. CC BY 2.0 via Wikimedia Commons. James Evans is a professor of Physics and Director of the Science, Technology, and Society Program at the University of Puget Sound. 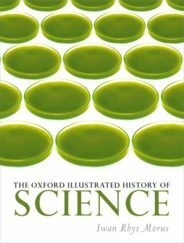 He is a contributor to The Oxford Illustrated History of Science. Iwan Rhys Morus first developed his interest in the history of science while studying natural sciences at Emmanuel College, Cambridge. He is currently a Professor of History at Aberystwyth University and is the author of a number of books in the history of science, including Frankenstein's Children, When Physics Became King, and Shocking Bodies. He is the editor of The Oxford Illustrated History of Science. It was not until Tycho, whose measuring equipment was more precise than any that preceded it, that the Ptolemaic theory became unsustainable. 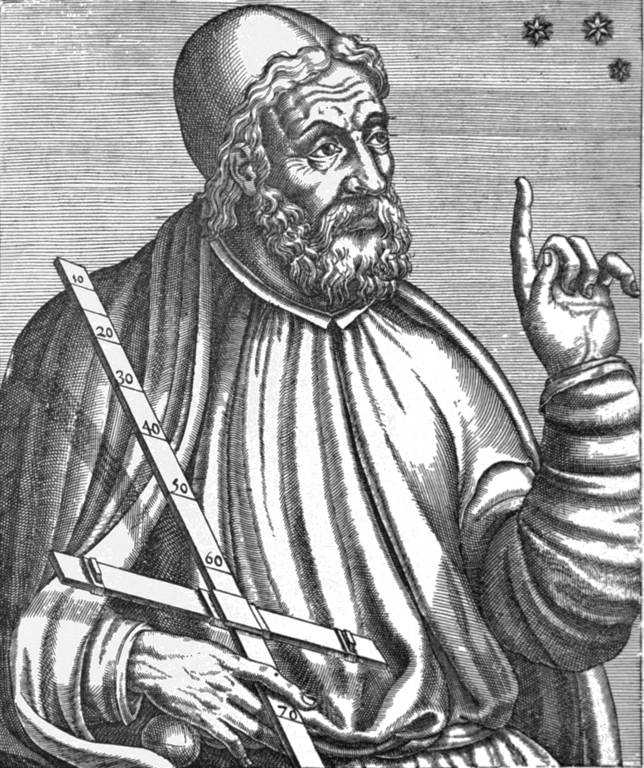 Specifically, the Ptolemaic theory could not account for the observed retrocession of Mars at the level of accuracy achieved by Tycho’s instrumentation. Kepler showed how this could be accounted for by the elliptical theory of planetary motion within a heliocentric model of the universe. Lachesis, at first touching one sphere then the next, is a good representation of the perturbations that planets exert on one another. If the Greeks had understood the vision loosely and not tried to model it exactly, they would have avoided their failed cosmologies. In the last century the Oort cloud has been discovered, which is a giant spherical cloud made of comets and asteroids, that surrounds the entire solar system. It extends 1/4 of the way to the next star. Since comets are made of ice crystals, this is a sort of crystal sphere…just not the type the Greeks were expecting.